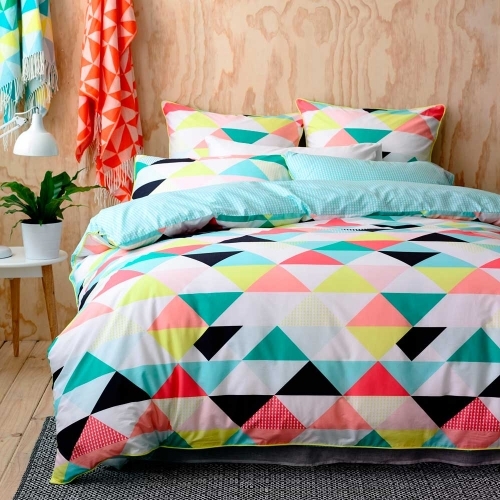 I don’t know if it is nostalgia for the glorious 1980s with memories of wearing fluorescent pink socks with my primary school uniform, but I am loving all the neon in fashion and home wares at the moment. It is fresh, playful and while you wouldn’t want to dress in neon head to toe or invest in a serious piece of fluoro furniture, a pop of neon looks fantastic and works well with neutrals. 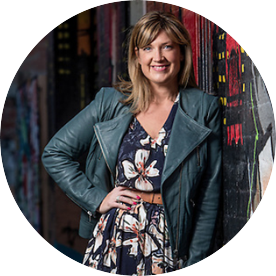 I particularly love it on my kids pared back with denim or white. Maybe I really am doing a Gatsby and trying to repeat the past! 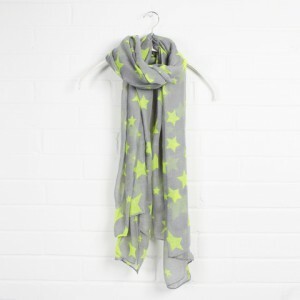 I love this women’s scarf with it’s grey and pop of neon yellow. It would make a lovely gift or could be an update for your own wardrobe for Spring. It is $30 from Brown Paper Packages. These super cool, on trend bracelets are $10 from The Super Cool. I’ll take the neon green or maybe the pink? I am a big fan of the floral tote and this one is fabulous with plenty of colours to work with. 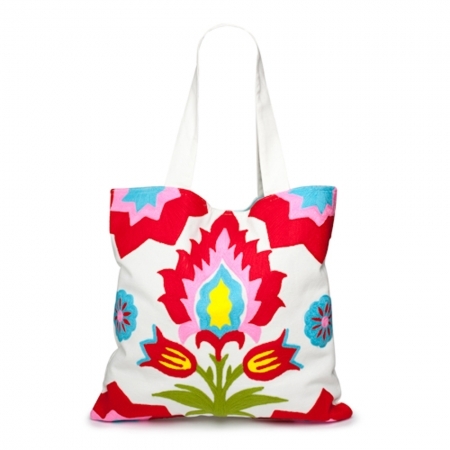 This Neon Neanderthal bag by The Beaded Warrior is from Hard to Find and is $59.95. 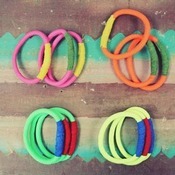 A pair of earrings can be an effective and fun way to introduce a pop of colour without over committing. 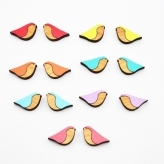 I love these Ikandi Sleeping Bird Earrings by Dorothy & Evelyn. They are $20 each from Hard to Find. I recently purchased an aqua pair of these Solid Colour Eyelet Runners for my 2 year old. They are easy to get on and off and are a step up from crocs but an alternative to sandals for Spring. I have my eye on the green pair for my big boys. Given they come in eight colours (including pink and tangerine for the girls), they are an ideal shoe if you want your children of different genders to wear matching shoes. They are $29 each from Seed. 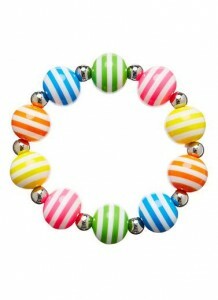 This fun striped bracelet would make a lovely birthday present or a great stocking filler. 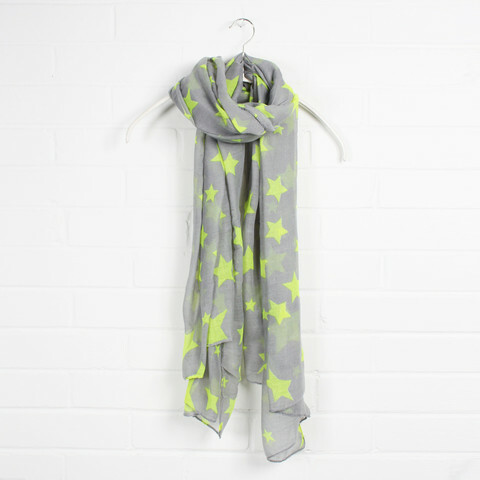 The perfect companion for a block colour, denim or white dress. It is $7.95 from Seed. 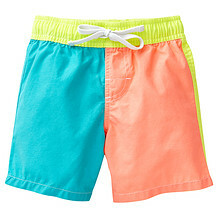 I love neon on my boys and these shorts hit the mark. They are $12 from Target but currently on sale for $9.60 (while the sale lasts). 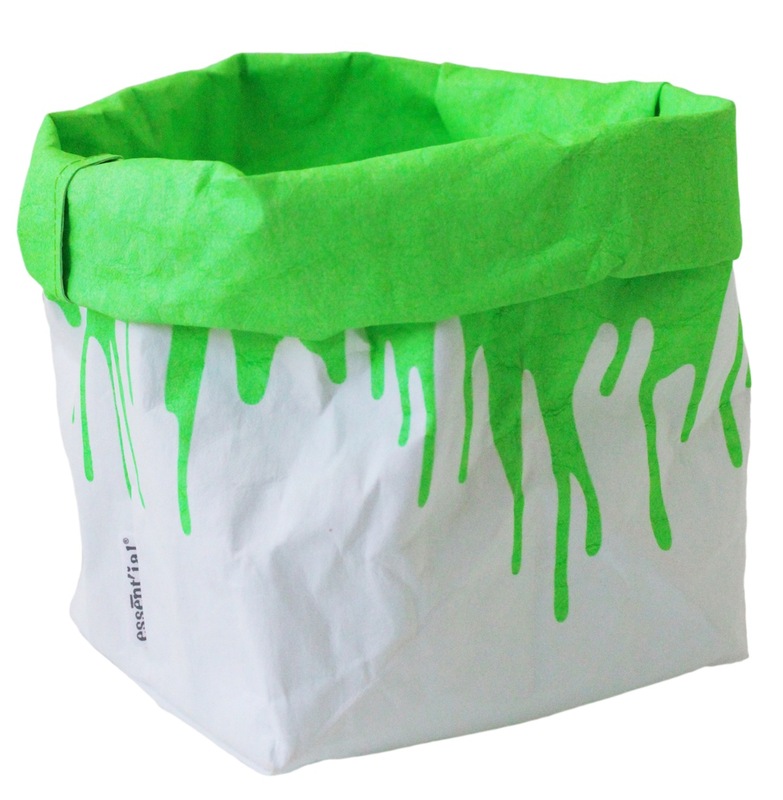 If you like a modern aesthetic and need some storage options, these fluoro sacks from The Happiness Place might be just the answer. This medium sack is $40 but they are also available in small ($35) and large ($55) and in fluoro yellow, orange and pink. If you are thinking of updating your bed linen for Spring, this Flagstaff doona cover set is very now and even better, it is currently on sale at Adairs from $89.95 (for single) to $129.95 (for King). This Pops Cushion from Freedom is the perfect foil for a neutral sofa or bed linen. 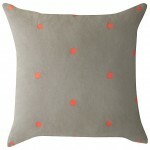 It is $19.95 and available in neon orange, yellow and pink. These are a few of the many fabulous neon numbers around at the moment. How do you like to “do” neon? What’s your favourite pick?